Kick Your Nagging Digestive Symptoms to the Curb in 21 Days! feeling your best is 1 click away! Are you one of the 80 percent of people struggling with digestive problems? I know how you feel. I’ve been there. How would it feel to be free from daily bloating, nagging digestive issues, heartburn, constipation, fatigue, brain fog, or having to scan every location you visit for the nearest restroom? You CAN have freedom, and you can do it in 21 days. Hi, I’m Mary, and I’m a certified nutrition consultant. I help people overcome digestive issues like candida, leaky gut, IBS, bloating, SIBO, and heartburn. I’ve helped thousands of folks resolve GI issues, and now I want to help you, too! You’ve heard the saying, You are what you eat. The real truth is you aren’t what you eat but more accurately you are what you absorb. That means you could be eating the most perfect whole foods diet, but if you aren’t absorbing the nutrients because your gut is damaged, most of that expensive organic food is going down the toilet, so to speak. You’re left with nutritional deficiencies, and you probably feel brain fogged, fatigued, and frustrated. How do you know if your gut is damaged? If you regularly experience gas, bloating, constipation, diarrhea, heartburn, belching, or indigestion (the feeling of food just sitting in your stomach, or even worse, seeing it come out in the toilet), your gut is compromised. Or if you’ve been diagnosed with IBS or IBD, you can be sure you have intestinal inflammation and a damaged gut. So what would it feel like to sail through your day without thinking about your digestive woes? 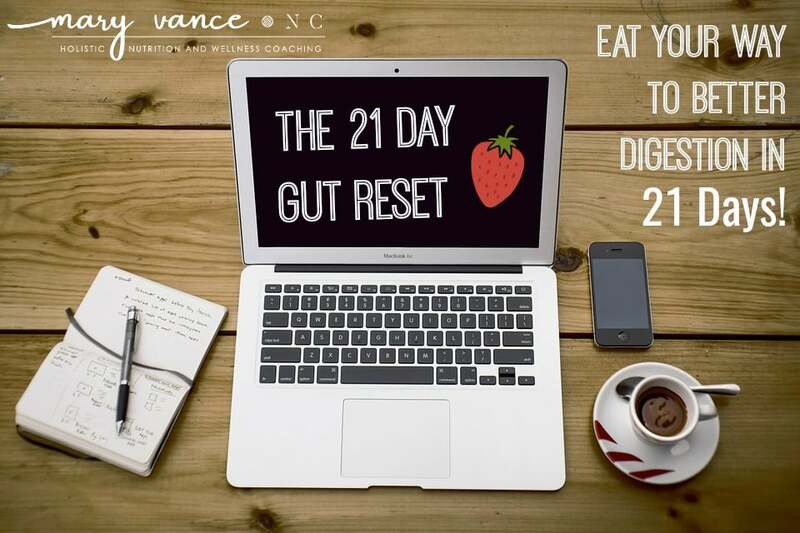 Join my 21 day gut reset and see for yourself! Get rid of bloating for good! What is the 21 Day Gut Reset? This program is a self-guided, 21 day e-course I designed to help you improve digestion and heal your gut. 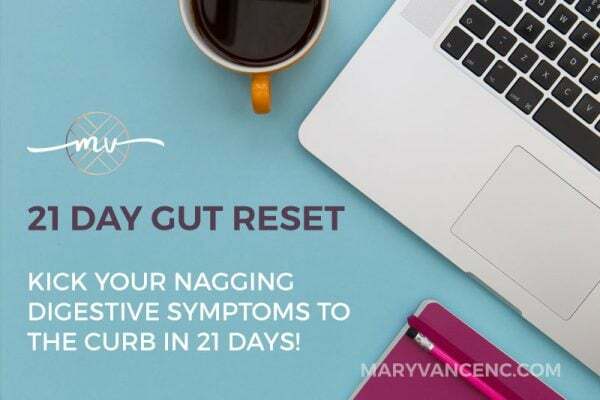 When you sign up, you’ll be instantly enrolled to receive a daily email with helpful tips to guide you on your gut healing journey for the next 21 days. You can join from anywhere in the world and do this course from the comfort of your living room! You’ll gain access to our private facebook group for support (if you choose; not required), AND you’ll get a 21 day shopping list AND meal plan chock full of gut healing breakfasts, lunches, dinners, and snacks for 3 weeks. There are no lectures to attend, and you don’t have to do any homework other than read the daily emails. NOTE: This is not a candida cleanse. If you’re looking for a program to kick candida, check out my Candida MasterClass here. Who is the 21 Day Gut Reset for? This mini course is for anyone who wants better digestion and better overall health. I created this course to help you learn to tune up your gut so you’ll better digest and absorb nutrients from your food. You’ll have energy to feel like a rockstar all day. I’ve been a nutritionist for almost 15 years now, and nearly every single person with whom I work has some kind of digestive issue that’s holding them back from feeling their best. Most of us could use a digestive tuneup, especially if you’ve taken antibiotics, if you eat/have eaten too much sugar, if you drink alcohol, take prescription meds (like antacids), or have any of the symptoms I mentioned above. Better digestion means better energy, a flatter belly, better poops, better focus, and no embarrassing digestive symptoms. All you have to do is sign up and pay, and you’ll automatically enrolled. You can start the program whenever you like, on your own timeline. Easy! What Will I Get with the 21 Day Gut Reset? Immediate access to our private facebook group where you can ask questions, get even more tips, and get support from me, a real live nutritionist! If you have digestive problems, you are likely eating foods that don’t work for your body, and/or your microbiome needs attention. Your microbiome is the ecosystem of bacteria that live inside your digestive tract. These bacteria help you digest your food, regulate your weight, and keep your immune system performing well. Your microbiome gets thrashed every time you take a round of antibiotics. It also gets upset when you eat too much sugar, drink booze, and take certain meds like antacids and painkillers. If you eat processed foods, fast food, and junk food, you’re not providing your gut bacteria with the raw materials they need to thrive. Or maybe you ARE eating a good diet, but you still don’t feel your best. You may need extra support to help your microbiome thrive, and I give you all the tools you need to make your gut bugs happy. I tell you exactly what to eat and what to avoid to improve digestion. Plus, you’ll learn how to determine which foods work for YOUR body and which foods you may need to ditch. There’s never a one size fits all approach! This program works because you will be avoiding foods that may be causing your digestive symptoms, and you’ll be adding in foods that make you feel good and help heal your gut. You can also choose some basic supplements that will fast-track your healing process and improve your symptoms. Change is hard. I’m recommending you ditch certain foods that may be holding you back from feeling your best. BUT the reward is that you’ll feel so much better and improve your health to boot. Plus I give you all the tools and support you need. You can do anything for 3 weeks, right?! You may lose weight (but this is not a primary weight loss program), and you may notice less bloating, no heartburn or reflux, better poops, better sleep, improved energy and focus, and even better skin health. But you’ll need to follow the diet guidelines and practice the daily tips! Who is Mary & Does She Know What She’s Talking About? Hi there! I’ve been a nutrition coach for almost 15 years now, so I know a thing or two. My practice focuses on digestive wellness and helping people overcome chronic and sometimes lifelong digestive issues. I’ve had great success helping my clients live healthier, symptom-free lives, and I can show you how, too! I myself have struggled with candida and digestive issues like bloating that I’ve healed using the same techniques you’ll learn in this course. And I help all my clients tune up their digestive function, whether they know they need it or not! All you need to do is click the add to cart button at the top of the page, and you’ll be instantly enrolled! Please note that this is a virtual course. You will not receive any tangible products in the mail.You will receive PDF files to download and daily emails. There are no classes to attend, online or otherwise. You can join this program from anywhere in the world. Do I have to give up all the delicious foods I love? No! 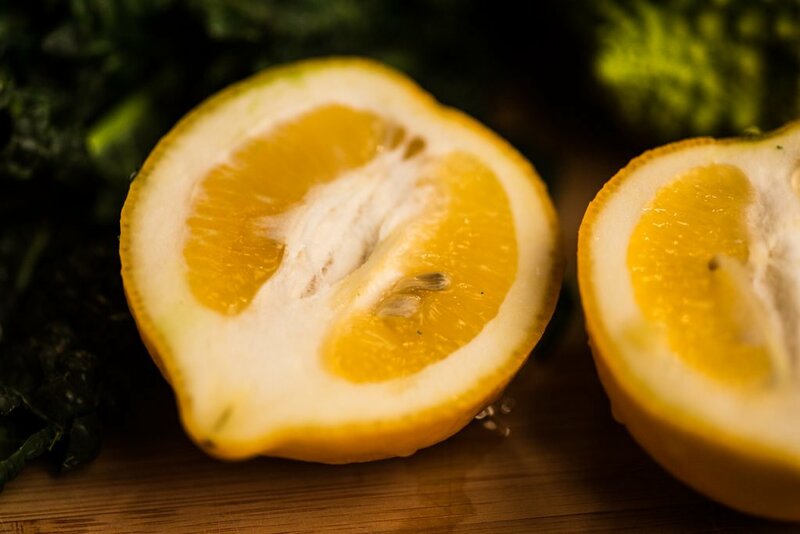 There are no requirements for the gut healing diet, but I do make suggestions about the best foods to include and avoid to help you heal your gut and find relief from symptoms. You’ll also be delightfully surprised by all the wonderful and delicious recipes included. Your whole family will enjoy these meals. Do I need to buy a bunch of supplements for this to work? No! No requirements there either, but you’ll find suggestions about supplements that can enhance your results. How much work is this going to take? There is no required homework, assignments, or classes to attend. But I do ask you to make diet changes, and you may find yourself cooking more. Will you be around to answer questions? Yes! Simply post in the private facebook group, and tag me to make sure I see. I drop by regularly to post tips and answer questions. I’m super busy. Is this going to create a lot more work for me? You might find additional time in the kitchen, yes, BUT I have given you suggestions for batch cooking so you can eat leftovers and avoid extra prep time. If you don’t like to cook, there are meal delivery services available, OR you have all the guidelines you need to eat from the Whole Foods hot bar or purchase Trader Joe’s premade meals. Can I do this while traveling? Yes! But you’ll need to be able to bring or purchase foods and ideally have access to a kitchenette or kitchen. If not, you can easily adhere to these guidelines while dining out. Can I do this program with my family? Yes! Anyone can benefit from the healthy, anti-inflammatory meals I’ve designed for this program, no matter what the age. Do I have to buy weird, expensive foods for this program? No! But I do make healthier suggestions and provide you with alternatives to processed and less healthy options. You can find everything you need at any basic supermarket. My husband and I decided to do this program together; him due to some stomach upset he was experiencing and me due to increasing heartburn I was having, seemingly no matter what I ate (seriously, pizza set it off and so did raw sugar snap peas). It was really easy to pick and choose which recipes we would incorporate based on our tastes and schedules, and I picked up a lot of good tips on what foods I can and should eat to heal my gut and get my body working better. 21 days later, I am not having any heartburn, and after reintroducing some foods, I am pretty sure that my culprit for heartburn and sluggishness is gluten, but I know now that I feel better when I cut back on dairy, alcohol, and sugar, as well. I am so happy I decided to do the program. I feel equipped to make better decisions, I have an arsenal of easy and tasty recipes on hand, and I feel better! After struggling with dermatitis for years i hit a wall of depression ready to give up. The 21 day gut cleanse has begun to clear my skin up after just 4 days. We just completed day 21 (with intention to continue to the 2 month mark) the first week was hard knocking cravings for sugar treats but now it’s much simpler! If your unsure if this is for you try it out! I’m the last person to ever try diet change of self care and it worked for me! It took me getting to my darkest place tho! Don’t let that happen to you! Eat good feel good friends! This program gives you all the tools and motivation you need to make real change. I loved it and it noticeably helped my digestive symptoms. Also, I lost 5 lbs! The snacks were especially helpful and delicious, and I loved getting the daily tips. Thank you! Feeling incredible. Just finished the 21 day gut cleanse diet. My bloat is completely gone. I have lots of energy and the sugar and caffeine craving is gone as well. Feeling euphoric. Going to try and keep up with the no sugar and glutens. Thank you for the great start and the wonderful new receipts. Jarrod, that is amazing. Please keep us updated on your progress.